Posted May 31, 2018 by Advanced Learning institute. New Yorkers would get a break from after-hours work emails under a bill introduced this month by a New York City Councilman. According to The New York Times, the proposed “Right to Disconnect” bill would ban private companies with more than 10 employees from requiring workers to respond to electronic work communications, including emails, texts and other communications after work hours. Businesses would be fined at least $250 for each instance of noncompliance. “So many of us are glued to our smartphones and our computers. It’s important to understand that we don’t have to feel as if our work has to spill into our personal lives,” Councilman Rafael Espinal, the bill’s sponsor, told the news outlet. While the bill does not ban an employer from reaching out to employees after hours, it gives employees the right to not answer the calls or emails. The proposed New York legislation is modeled after similar efforts in Europe to rein in the barrage of emails causing increasing frustration and eroding worker efforts toward a better work-life balance. A new law went into effect in France in 2017 that required French companies with more than 50 employees to guarantee workers the “right to disconnect” from technology when they leave the office at night. For many years now, workers have had a complicated relationship with email. According to a 2016 report in the Harvard Business Review, workers send more than 108 billion email messages daily, with email taking up 23 percent of the average employee’s workday. In addition to government regulation, more individual companies are trying their own dramatic attacks on email. 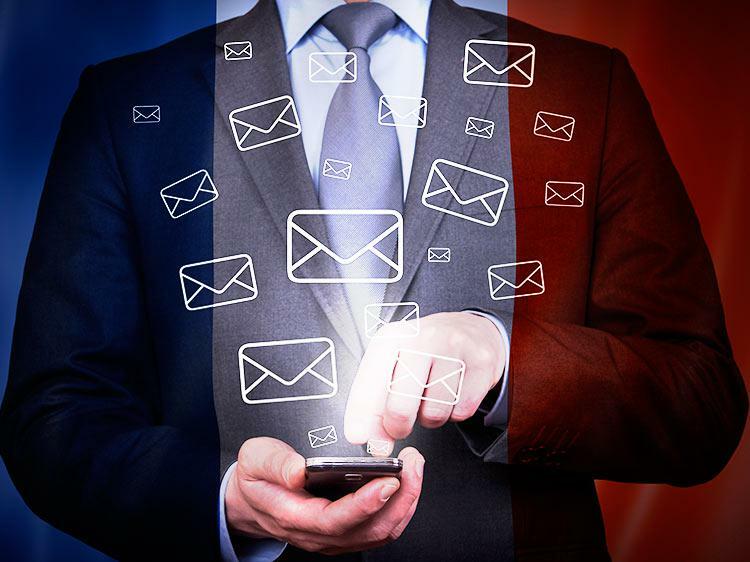 One of the most famous campaigns came from France-based information technology services firm Atos, which has been working to ban internal emails since 2011. As a replacement for email, the company built a social network for the entire company, allowing employees to choose whether they want to enter a discussion on their terms. Similarly, German car and truck maker Daimler, launched a radical solution of its own: no email on vacation, guaranteed. The policy allows employees to opt to have emails deleted while on vacation. While these proposals gain a lot of media attention, they are tough to accomplish in today’s business environment, and I believe there are a number of other practical ways to simply diversify communications so you don’t really need an outright ban on email. One idea is to use an electronic newsletter for various departments. This could be accessed online through Intranet or SharePoint, and employees could quickly narrow in on key information that’s stored in one, easily accessible spot. The key is to make sure that you’re carefully selecting your communication vehicles in all instances, rather than bombarding employees with emails. One of the most popular ways to avoid the email flood is to use a variety of enterprise social media platforms. Social media enables users to opt into the conversations and news feeds that are most meaningful to them. It’s hard to deny the importance of trending conversations, peer-to-peer sharing, and the unprecedented ability to promote and scale new ideas. Having meaningful conversations with employees about what’s expected when it comes to email is also a fundamentally important way to address the issue. When setting expectations around email, leaders need to remember that everyone needs time off from electronic communication. It’s how we reconnect with what matters and re-energize ourselves. If your employees think they need to be constantly connected and need to immediately answer every email that comes their way, their vacations will turn into “workcations,” and they won’t get that much-needed time to recharge. Let employees know that it’s not only OK for them to step away from their emails and understand not everything needs to be answered urgently, but that you prefer if they do. Clearly setting this expectation up front can help employees unplug without guilt. It also lets them put a plan in place before they take their vacations: they can tell people they won’t be available, give them alternative contacts, and make sure appropriate people know how to reach them beyond email should something urgent come up. Attend Advanced Learning Institute’s Strategic Internal Communications for Health Care conference on May 30 – June 1, 2018.